Real cider is made from real fruit. Is there a better place to grow apples than the Apple Isle? We don’t think so, so our ciders and perries are made from local, Tasmanian apples and pears. We don’t grow our own apples and pears, but source them from a few growers. All of our suppliers are fourth generation apple growers, so they’ve probably forgotten more about growing great fruit than we know. Traditionally, cider is made by mixing all the apple varieties together prior to fermentation. We like to ferment our apple varieties separately so we can evaluate their potential for making various cider styles. It also means that we can blend different ciders together to get the fruit profile that we are looking for, balancing flavours, textures and length. In this sense our approach to fruit and blending has more in common with making sparkling wine. We blend a small amount of apple juice (less than 10%) into all of our perries prior to fermentation. This adjusts the acid naturally and also provides more nutrients for a healthier fermentation. We use a number of varieties as described below. Granny Smith: The granny smith apple is native to Australia and was discovered by “Granny” Ann Smith in New South Wales in 1868. It’s believed that one of their parents was a French crab apple. They’re known for their distinctive green flesh and tart flavour. This tartness makes them great for adding natural acidity and crispness to cider blends. Pink Lady: Cripps Pink apples were developed by John Cripps in Western Australia in the 1970s and are now sold as Pink Lady. They are a cross between Lady Williams and Golden Delicious. They have a pink blush over greenish yellow skin, dense, firm flesh, and a fresh flavour. 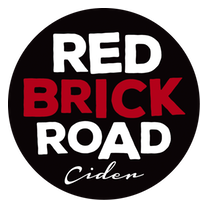 They make a gentle, neutral cider base with a round, soft palate that is a good base for blending other, more flavoursome apples into. Golden Delicious: These apples originated in 1912 in West Virginia, USA. They have bright yellow, golden skin over crisp, creamy white flesh. When fermented, they make a soft cider, with distinctive spicy, apple pie aromas. Fuji: Developed in the 1930s in Japan, Fuji apples are a cross between two American varieties: Red Delicious and Virginia Ralls Jennet. There are different cultivars; we mainly use a striped cultivar. They are large and dense, with a firm texture and very high sugar. 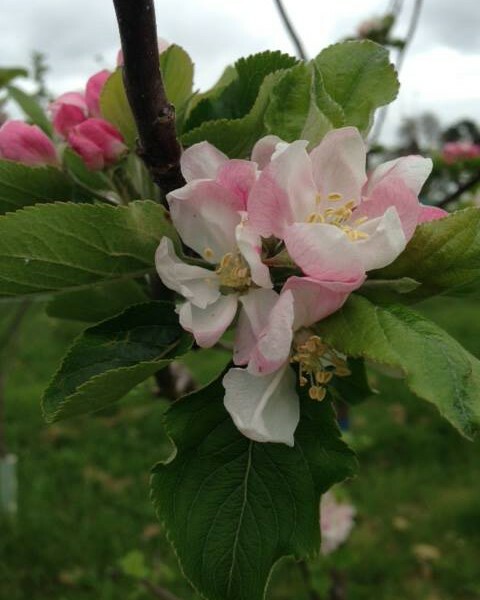 The make a rich cider base that is high in alcohol (7.5 – 11%v/v when fermented to dryness). Jonagold: A cross between Golden Delicious and Jonathon apples, developed in Geneva, New York, USA and released in 1943. They have a red blush, creamy yellow flesh and are high in sugar. They make a cider base that has a good balance of alcohol, fruit sweetness and acidity. Geeveston Fanny: An unknown variety, that was imported into the Huon Valley in the 1870s and named Susan’s Pride then renamed Geeveston Fanny in 1908, both names honouring the growers’ wives. It was a popular export apple in Tassie in the 1970s but is now fairly rare. They are a small, bright red apple with creamy flesh. The cider we made from them was crisp and fleshy, rather like biting into a fresh apple even though it was completely dry. Cox’s Orange Pippin: These apples were developed by a retired horticulturalist, Richard Cox, in England in the 1830s. Their parentage is unknown, but they are believed to be related to Ribston Pippin. They were a popular apple variety in Tasmanian gardens, and are an attractive orange-red. They have creamy, juicy, aromatic flesh. They make an extremely pretty cider that is soft and very aromatic, with notes of apple and citrus blossom. Beurre Bosc: A European pear that was developed in northern France and southern Belgium in the 19th century. It was given two names, as was common at the time. The first, beurre, is French for butter and describes the melting quality of the pear. The second, Bosc, is for the propagator, Monsieur Bosc who was the director of the Paris Botanical Gardens. 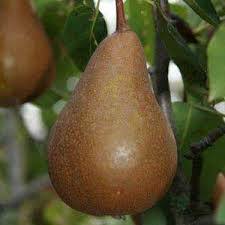 They have a tall, tapered neck and russet colour with firm, rich flesh. Perries made from these reflect this texture and richness.